Note: I try hard to make sure that Combat Camera from all services (and nations) are credited for the photos they take. Unfortunately the US Army doesn't credit their photographers on Instagram. Staff Sgt. 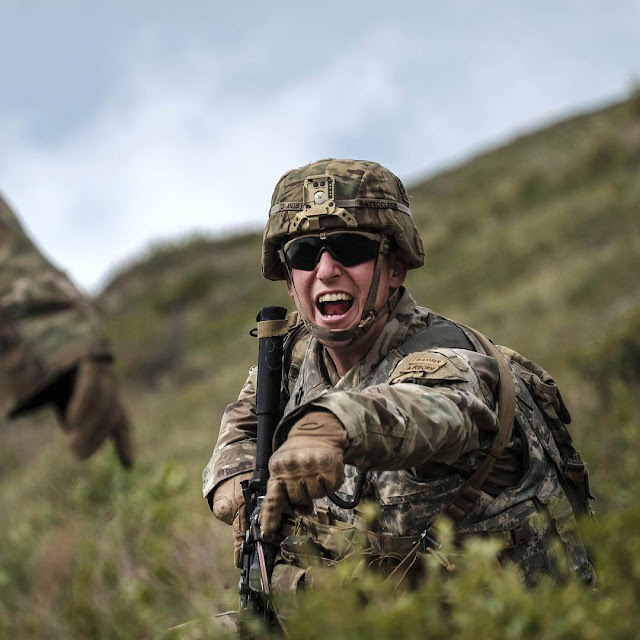 Robert Battocletti, a squad leader with 4th Infantry Brigade Combat Team (Airborne), 25th Infantry Division, directs his soldiers during a live fire exercise at the High Altitude Military Marksmanship Range at Joint Base Elmendorf-Richardson, Alaska, Aug. 3, 2017. Hmm. Never knew this was a thing. High Altitude Military Marksmanship Range? Sounds...interesting. Anyone ever run this range?